Vegetables. They’re healthy, colorful, delicious, and good for you. I try to eat five fruits and vegetables a day but honestly it doesn’t always happen. Sometimes I just want to go right for the pasta and skip the veggies. But I have to stay focused and eat my vegetables, because they help round out my meals and fill me up so I don’t go for that second piece of lasagna. I’m always looking for tasty low-cal side dish veggies recipes (gratin’s are amazing, they’re too high calories for my everyday veggie) and I’ve found a new way (to me at least) to cook broccoli. Roasting! I love roasted cauliflower, parsnips, sweet potato’s, carrots, ect. But I’ve never had roasted broccoli until recently. Usually I blanch my broccoli in boiling water when I eat it. It’s fresh and ok…. but roasted broccoli, I could eat a whole bunch of it! Preheat your oven to 425 degrees. 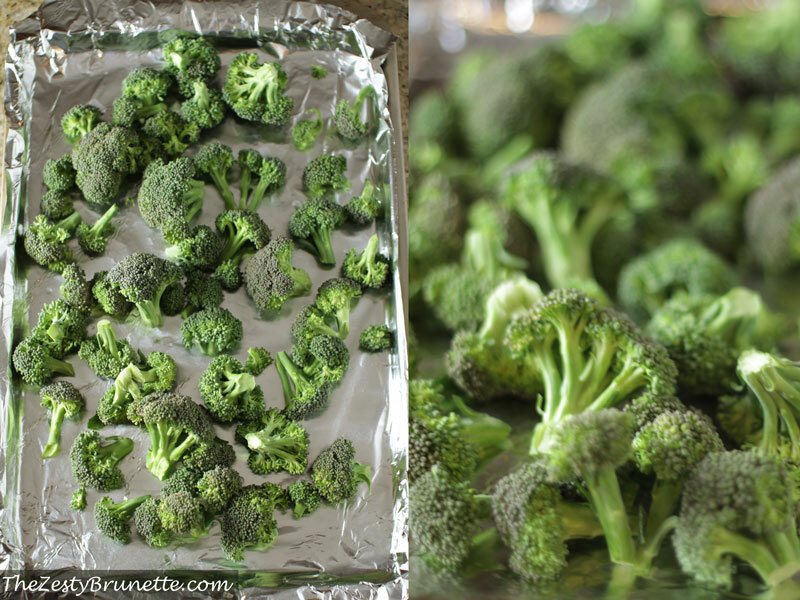 Wash and cut up a bunch of broccoli and spread it evenly over a baking sheet. I like to cover my baking sheet with foil to make cleanup super easy. Drizzle a olive oil and honey over the broccoli. Don’t douse them, just a little bit of the oil. I try not to over use my oil and honey to keep the calories down. Sprinkle salt and pepper and toss to coat. 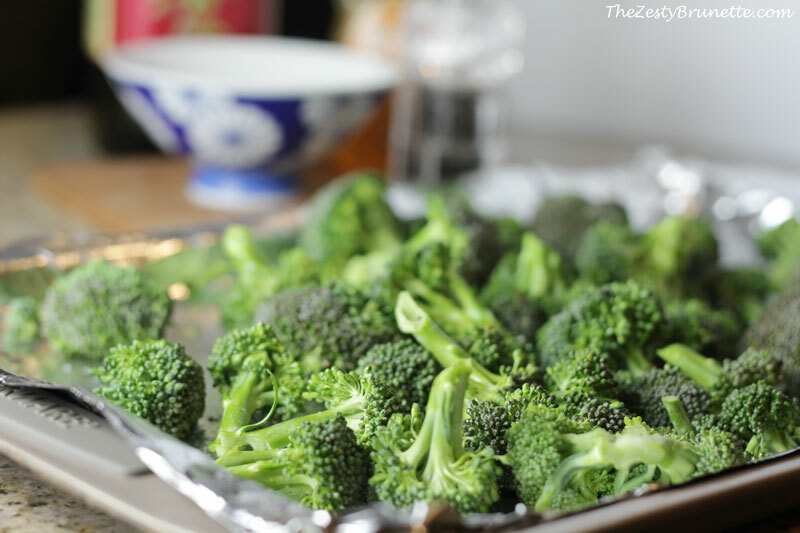 Put it in the oven and roast for approximately 25 minutes or until the broccoli florets are tender. I like to turn my broccoli half way through. 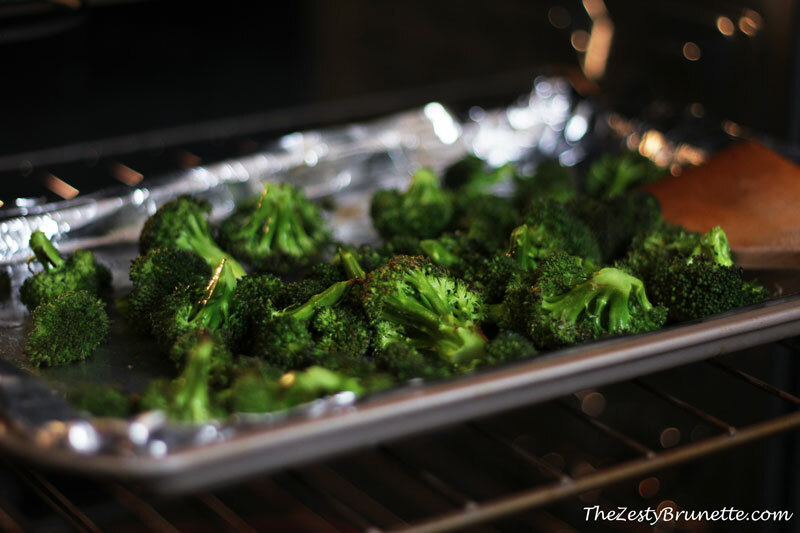 The broccoli comes out of the oven bright green and tender, and steaming hot with a little carmelization from the honey and it’s so good! For the first time, I actually look forward to eating broccoli and have made this recipe several times in the past couple of weeks. 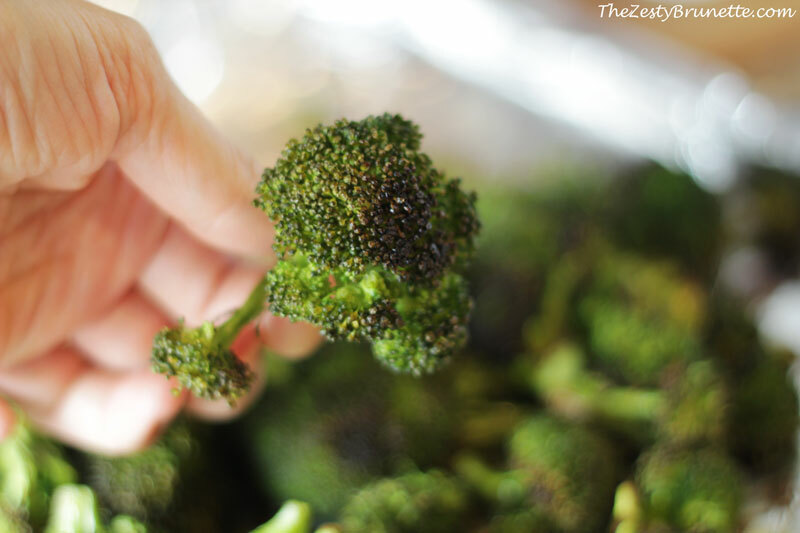 Rinse broccoli, separate into florets, and spread in an even layer on your baking sheet. 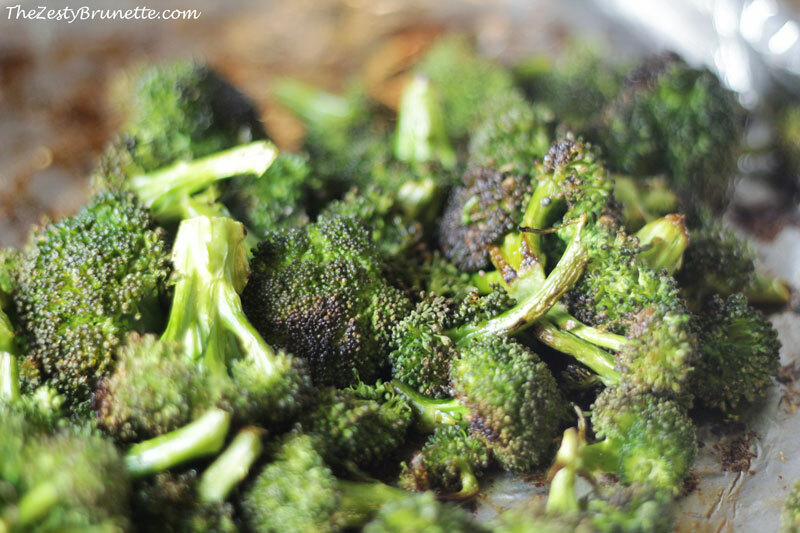 Drizzle olive oil and honey over the broccoli and sprinkle with salt and pepper. Toss broccoli to coat evenly. Roast in the oven for approximately 25 minutes, turning/stirring after 10 minutes. Remove and enjoy when broccoli is tender! What’s your favorite low-cal vegetable side dish recipe?